Today’s post is more than just DELTA related and let me tell you if you ever travel internationally, you need to get GOES or Global Online Enrollment System (Click on the link and then hit the “Watch” button for a video). The fee for this service is $100 for 5 years (basically $20 per year/ per person). What do you get for this? When you get off your long, international flight, and an airbus 380 has just unloaded say 500 people in front of you, and the lines are up to an hour long in customs, what do you do? You simply bypass this and go to one of the GOES kiosks and scan your 4 fingers, your passport and look up at the camera in the kiosk. Next you fill out the customs form on screen (you don’t have to do it on the plane like everyone else) and hit print. Lastly you quickly show it to the customs person in your private line and out you go. I have made it though customs faster than the flight crew from my flight. Yes it is that fast! Are there ways to get someone else to pay for it? Yes! If you already have this card, or , if get the card and use my referral link to get the AMEX PLATINUM membership rewards card (note it has a $450/yr fee) they will rebate you the cost for the Global Entry fee for the program when you pay for it with the card. Membership Rewards also many times offers very nice bonus deals for sending their points over to DELTA including MQM bonus. Also, this AMEX card gives you up to a $200/yr rebate in incidental fees for things like bag fees or buying a snack box or drinks on-board the flight (benefit applies to only one airline you must select online) plus no foreign transaction fee’s. That on top of the 25,000 bonus points they offer makes this a good option of you are going to get GOES membership! BTW also get free annual GOLD status with SPG and anther sweet benefit and free USA lounge access on ANY airline the day you fly! ← Are SKYMILES really skypesos? A step-by-step how to book Delta low level seats! Thanks for the info and chance to win. Oh wow, there’s an interview process and everything. Guessing I can’t do that from abroad, meaning that I wouldn’t be able to get the benefits of this on my next trip back to the US. I saw on the website, that they take fingerprints at your interview. Is this only for verification at the kiosks, or is there some kind of background check done that requires it as well? The fingerprints are for the kiosks but they do check you very well before you get there. There will be no interview unless you pass background checks! I do not travel for work, so I tend to debate whether a $450 card – despite its benefits – is a bit extravagant for me…. Going for my GOES interview in 2 weeks. Woo hoo! This really is an awesome idea. And like you put it, $20 a year, especially if you’re a heavy international traveler, is well worth it. For me even 1x a year is worth it! When you have been on a 8-12 hr flight standing for 1+ hrs waiting with smelly people is not my idea of fun at any price! Thanks Rene – I don’t live in a city that has an office, but I’m flying thru LAX tomorrow and next week on my way to Hawaii. How far in advance do I need to schedule an interview? Do I just call them? Suggestions? Hi Bill. It does not happen that fast sorry ( you can try + take the time to get the AMEX card? ). It takes about 2-6 weeks for them to do the background check once you put in your application. They they let you schedule the interview. Don’t hold me to this but I think you have 90 days after approval to go for the interview but they will work with you to extend if you need more time. Then you will have to call them. That was my fear. 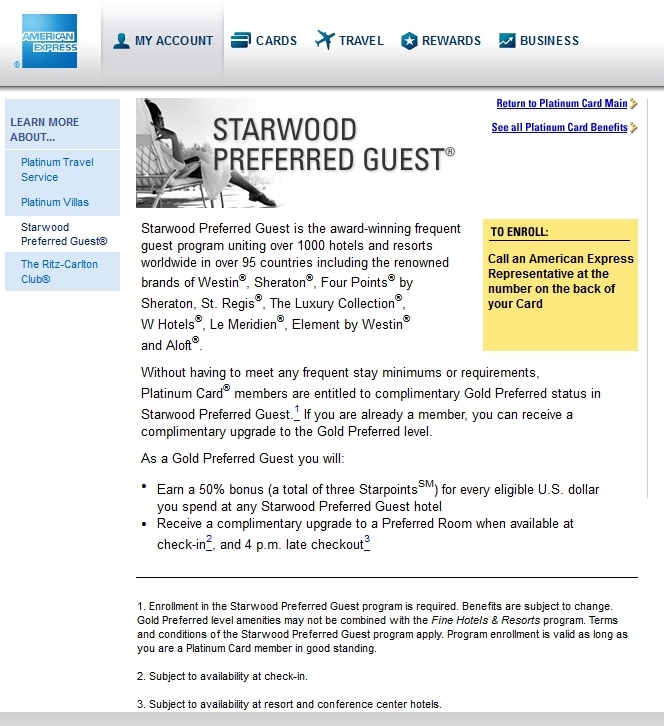 I do have the AMEX Platinum so that would cover the fee. The timing just isn’t very good and I don’t live anywhere near a GOES office. Off-topic… I have a Delta related problem that you may be able to provide a suggestion with. Is there a way to contact you? I didn’t see an email address anywhere. Now what happens once this gets so popular that a lot of people start doing it? Wouldnt this end up creating a long line? Especially when we have so many people still bad with computers. Also, it will slow the line down because you have to fill your customs form on screen, when you could have done it on the plane. I dont know about this idea. Needs toale it much faster to be worth it. I’ll be in need of a few drinks on my next flight. My complaint is that when I travel international, I usually check a bag (souvenirs) and like others have said, it is trading waiting in one place for another. Hmmm…Global Entry does sound good. The Platinum AmEx is looking better and better. Hi Stephen – yes this can be true. If you are Medallion your bags come out 1st when they put the “priority” tags on. One tip is ask at check in, even if you are NOT medallion, that they please put them on the bags as a favor for you and many times they will do it! But either way there is much more room in the bag area then in line! Just a minor point, but GOES is the enrollment system for Global Entry (GE). The kiosks are GE kiosks, not GOES. Another option is to register for the NEXUS program for US/Canada travel which only costs $50 for 5 years and grants GE access as well. H Brad – the name is the name they use so just simple. Yes NEXUS is an option but AMEX will NOT pay you for that one. They only pay for GOES from what I have been told thus far. I have Global Entry and love it, but don’t love the way you presented the way to get it from Amex – “If you use my link to get the Amex Platinum Membership Rewards card, they will rebate you the cost for the program when you pay for it with the card.” Any Amex Plat card holder gets it – they don’t have to apply through your link to get that refund. If you use referrals, at least be honest when you are using them. I have made a change! I will have to check out Global Entry program. Thanks. seriously considering global entry now! can you have your site set up so that we get comments back via email? I had to remember to come back to see if you had written… maybe no one else cares about this. if not, disregard. Hey, great new site. I found it via Millionmilesecrets and will be sure to add this site to the list of daily blogs that I read. Keep up the good work! I could always use a free drink especially on a long flight! Thank you for the info. I am “pending review”. Love the blog. I am a loyal Delta guy having a home in ATL/SLC/ and now LAX. Very cool. You’ve almost convinced me to get Amex Platinum. (If I do so, I will say you referred me). Would love the drink coupons! 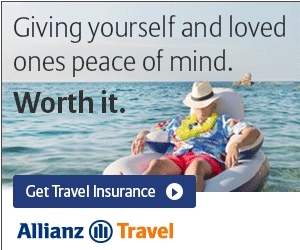 Whats the difference between this and the Trusted Traveller Program? Sounds like a great program. I have an amex card but I never used this benefit! I think I’m going to bite the bullet and get GOES. I bookmarked your site on my favorites. Thanks for the replies on the FT thread for the Delta Skymall 25k promo. I enjoy your positive posts and attitude. When the mods shut it down I kept checking for new info on your site. Thanks for sharing. When you go to SLC to ski stay out of Park City. It’s nice but you get a better value for the $$$$ if you go local. ALTA or Snowbird is really good and cheap during the week. You can take a bus to the front door. Save the $$$. Just experienced global entry at YYZ, long lines, took me 30 seconds to clear immigration. Only hiccup was the gate guard wanted me to fill out the blue and white customs dorm, had to convince her I did t have to. Not a player of the revolving credit cards just yet (as I still need good credit scores this early in life), but need to add a card. Was hands-down for Delta Platinum AmEx but with the benefits you list Platinum MR may be better! @uclalum – yep if you don’t need MQMs it is the better choice and year one pays for itself in perks.